Experience the warmth of the Mexican sun on your face and unwind in the Pacific breeze at The Grand Mayan Acapulco luxury resort as you enter a world of extravagance and excitement. 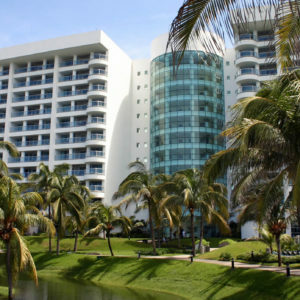 Here you will find all of the magnificence and excellent customer service of The Grand Mayan Acapulco luxury resort, steeped in the carefree attitude and natural beauty of Acapulco. 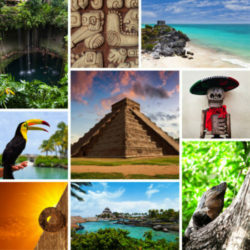 You can watch the famous Acapulco cliff divers, ride a hot-air balloon, or swim with dolphins. In Acapulco, anything is possible. Amidst 28 acres of quiet gardens and along a private beach lies the Sheraton Hacienda del Mar Golf & Spa Resort, Los Cabos. The old world hacienda architecture of our deluxe guest rooms, fountains, cafés, and shops evoke the rich history of the Baja region. Retreat to one of our 270 guest rooms and suites where you’ll find authentic upscale Mexican décor, the Sheraton Sweet Sleeper(SM) Bed, a private terrace, and a whirlpool tub. Gather everyone together and share a delicious meal or casual drink in our four restaurants and five bars. Experience the warmth of the Mexican sun on your face and unwind in the Pacific breeze at The Grand Bliss Nuevo Vallarta luxury resort as you enter a world of indulgence and excitement. Here you will find all of the luxury and excellent customer service of The Grand Bliss steeped in the carefree attitude and natural beauty of Nuevo Vallarta. 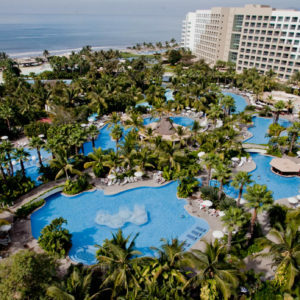 At The Grand Bliss Nuevo Vallarta luxury resort, there’s something for everyone. Enjoy 18 holes of golf surrounded by spectacular Pacific Ocean views and lush, tropical foliage or hit the beach for body surfing on the waves, snorkeling, or just relaxing in the sun. When you tire of the sand, sun, and adventure, head to the spa on-site at The Grand Bliss Nuevo Vallarta luxury resort to indulge in some luxurious spa treatments. After the sun sets, enjoy Nuevo Vallarta fine dining at one of our restaurants and head into town for a variety of sultry nightspots to please any taste. Whatever you desire, The Grand Bliss Nuevo Vallarta luxury resort is sure to deliver. 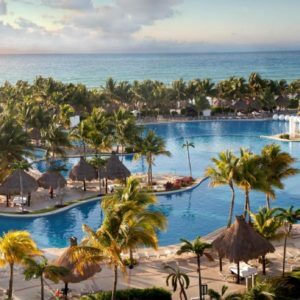 Located at the exclusive Riviera Maya just 15 minutes from the town of Playa del Carmen is The Grand Bliss Riviera Maya resort. In Playa del Carmen, take a ferry to Cozumel Island. Sunbathe on the white-sand beach or swim or practice your favorite water sport, including fishing in the blue sea. Back on land, enjoy the variety of food prepared by international chefs on site, with a different theme each day. A daily activities program with various tours and additional services will make for an unforgettable experience. A visit to The Grand Mayan Los Cabos luxury resort is truly an intimate escape. Based upon the concept of a boutique hotel, everything about The Grand Mayan Los Cabos is unique, luxurious, and designed to provide the most romantic getaway possible. 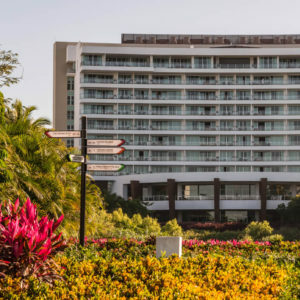 Located in the beautiful Los Cabos region, The Grand Mayan Los Cabos luxury resort is surrounded by beautiful Pacific views and is lulled by lush, tropical breezes. At this gorgeous destination you can participate in exciting water sports, swimming with dolphins, or spend a day-or two-at Brio Spa enjoying rejuvenating treatments. Fine dining at Los Cabos restaurants, exciting nightlife, and total relaxation are all part of the ultimate indulgence found at The Grand Mayan Los Cabos luxury resort. Experience the warmth of the Mexican sun on your face and unwind in the Pacific breeze at The Grand Mayan Nuevo Vallarta luxury resort as you enter a world of indulgence and excitement. Here you will find all of the luxury and excellent customer service of The Grand Mayan steeped in the carefree attitude and natural beauty of Nuevo Vallarta. 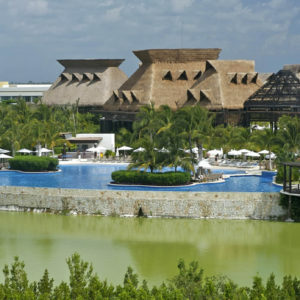 At The Grand Mayan Nuevo Vallarta luxury resort, there’s something for everyone. Enjoy 18 holes of golf surrounded by spectacular Pacific Ocean views and lush, tropical foliage or hit the beach for body surfing on the waves, snorkeling, or just relaxing in the sun. When you tire of the sand, sun, and adventure, head to the spa on-site at The Grand Mayan Nuevo Vallarta luxury resort to indulge in some luxurious spa treatments. 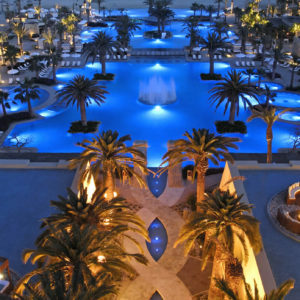 The Grand Mayan La Jolla de Cortes golf resort located near Puerto Penasco, gives new meaning to the idea of paradise. Endless stretches of white sands, azure sky and crystal-clear ocean waves are part of the beauty you’ll find at our La Jolla de Cortes golf resort. 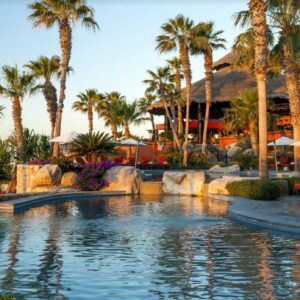 In nearby Puerto Peñasco, golf resort vacationers find entertainment and nightlife to please lovers of vibrant town life, while the almost untouched landscape of La Jolla de Cortes is a haven for nature lovers.